New York, NY – December 7, 2017 – Qwest TV, the world’s first subscription video-on-demand (SVOD) platform dedicated to jazz and jazz-inspired music forms founded by music legend Quincy Jones in collaboration with French jazz impresario and television producer Reza Ackbaraly, announced today its official global launch date set for December 15, 2017. The announcement comes just two months following a successful Kickstarter crowdfunding campaign in Fall 2017 that raised nearly $170,000 USD, nearly double the platform’s target goal. 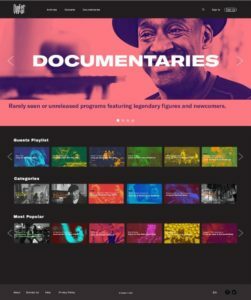 First announced at Montreux Jazz Festival in July 2017, Qwest TV will feature over 100 curated concerts, documentaries, interviews and archives of premium jazz and related eclectic music original content, through a responsive platform available for access on computers, mobile and tablet devices. Subscriptions are available in Standard (SD) or Premium (HD/4K) formats, with pricing starting at $7.49 USD per month. All subscription tiers are ad-free. Customers can subscribe at www.qwest.tv. Initial content available on launch date will include content featuring artists such as Aretha Franklin, B.B. King, Anderson .Paak, Bobby McFerrin, Robert Glasper, Jacob Collier, Sun Ra, Al Jarreau, Maceo Parker, Chick Corea, Gregory Porter, Macy Gray, Wayne Shorter, George Benson, Dee Dee Bridgewater, Pharoah Sanders, Elvin Jones, Milton Nascimento, and many more. A variety of new original content will be added on a monthly basis. Visit www.qwest.tv/catalog for a complete list of launch content. 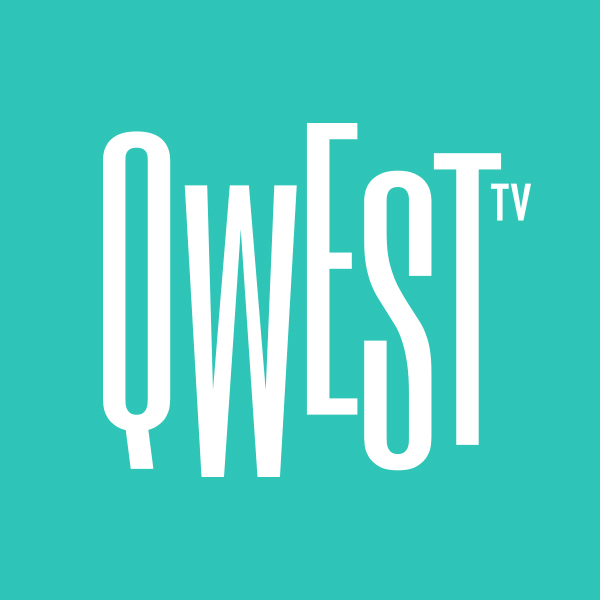 With support from musicians such as Questlove, Erykah Badu, Gilles Peterson, Marcus Miller, Gregory Porter, Kamasi Washington, Chucho Valdes, Zakir Hussain and many more, Qwest TV’s objective is to increase the popularity of jazz, highlighting its influence on other types of music from hip-hop to electronic music, introducing new talent, and bringing to light its major role in the evolution of society to engage the next generation. 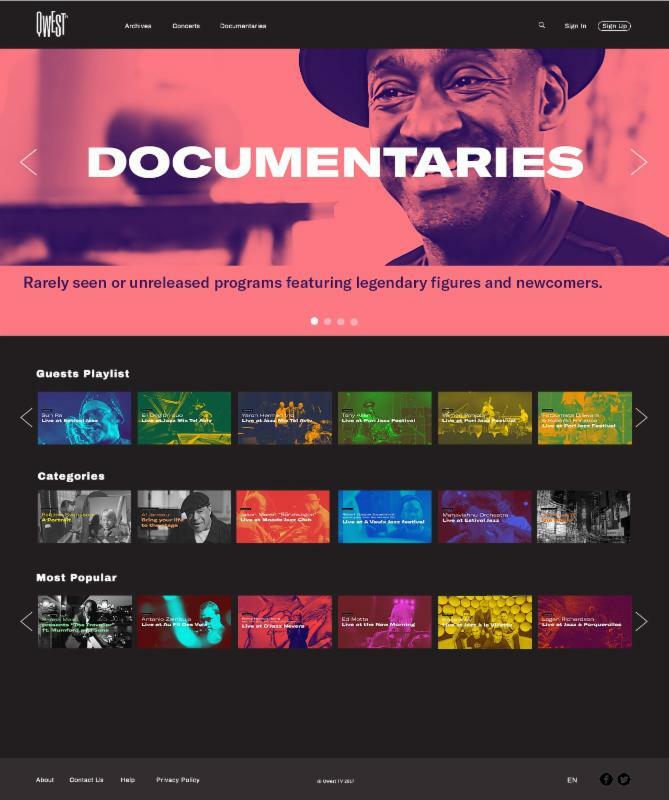 Each program will be accompanied by informative liner notes written by journalists and jazz experts, and subscribers will also be guided by playlists created every month by guest curators (ranging from music experts, producers, record label owners as well as famous musicians). “At Qwest TV, jazz and jazz-inspired music are going to be at the root of everything we do, but we also want to highlight their influence on culture and music in general, the connections between different musical genres, and how jazz is constantly evolving and keeping up with the times,” says Reza Ackbaraly, Qwest TV co-founder. The December 15 launch will be celebrated with a special live concert in Paris featuring artists such as Jacob Collier, Cheick Tidiane Seck, Moh Kouyaté, Magic Malik, Mederic Collignon (performing a special Quincy Jones tribute), Sylvain Luc, and Omar Sosa. The concert will be livestreamed through Qwest.tv and available for Video on Demand playback following the livestream, an example of prime original content Qwest TV will produce. Created in October 2017 after several years in the making, Qwest TV, the world’s first streaming-video service celebrating jazz and jazz-inspired music forms, is based in Los Angeles, CA, USA, and Paris, France. Supported by a first-class team of artists, producers, venues and festivals, Qwest TV offers its subscribers around the world a carefully curated selection of high-definition, 100% legal films and videos.